Under limited supervision, performs a variety of tasks associated with the receiving, tracking, handling, processing, storage, safekeeping and proper disposal of all evidence and property. Responds to crime scenes, evaluates the scene and conducts searches for evidence utilizing disciplines related to crime scene investigation to include measures and/or photographs crime scenes, evidence, processing, etc. Receives, processes, accounts for and securely stores evidence collected by Police Department Personnel, using the computer and Tyler Public Safety RMS and Microsoft Office Programs. Transports and/or mails and receives evidence and reports to/from the State Lab, as well as any other Law Enforcement Agency. Conducts research on property/evidence for destruction, sale and/or converted to city use, and disposes of items in accordance with local, state, and federal laws and regulations. Coordinates, prepares and approves all items designated for auction, reconciles the auction report, ensures timely deposit of funds. Conducts inventories/audits in accordance with Police Department Policies and Procedures and the Texas Police Chief's Recognition Program. Responds to inquiries and requests from department personnel, criminal justice agencies such as County/District Attorneys and City Prosecutors, and the public in regards to property. Responsible for maintaining retention dates and prepare destruction on records. Responds to crime scenes, evaluates the scene and conducts searches for evidence utilizing disciplines related to crime scene investigation to include measures and/or photographs crime scenes, evidence, processing, etc..
Preserves, examines and secures evidence; documents all handling of evidence and property; maintains activity logs and generates reports as needed. Releases items to authorized parties within scope of authority and documents return of evidence to custody. Tracks statute of limitations and legal time frames and assures compliance to regulations. Maintain the integrity, professionalism, values and goals of the Department by assuring that all rules and regulations are followed, and that accountability and public trust is maintained. Verifies stolen property, weapons through the use of national and state crime information computer systems; searches pawn shop entries/systems as needed. Receives vehicle impounded as evidence or seizure and various gasoline powered equipment. Being on-call, to include while off-duty, to respond to assist when necessary. 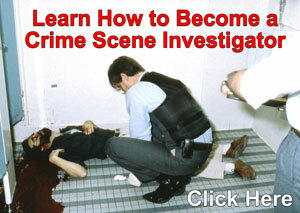 Knowledge of Public Information Act; crime scene processing, property and evidence management. Skill and ability to apply correct business English, spelling and arithmetic; operating computer/standard software; maintain effective working relationships with co-workers; deal effectively with the public; handle several items at one time accurately during stressful situations; understand and follow oral instructions and request clarification when needed. Ability to sit stationary for extended periods of time; bending, stooping, and reaching as necessary; and the ability to lift/carry 50 pounds. Maintain a valid Texas driver's license and obtain Property and Evidence Certifications within six months of employment. High School graduate or its equivalent plus at least two years of experience in law enforcement. On call duty as required. 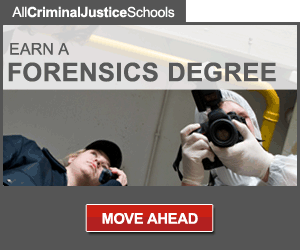 Bachelor's Degree in Forensics, Science, or Criminal Justice. Currently working for a law enforcement agency and certified in evidence collection & crime scene processing, property room management and certified by The Texas Association of Property & Evidence Inventory Technicians.